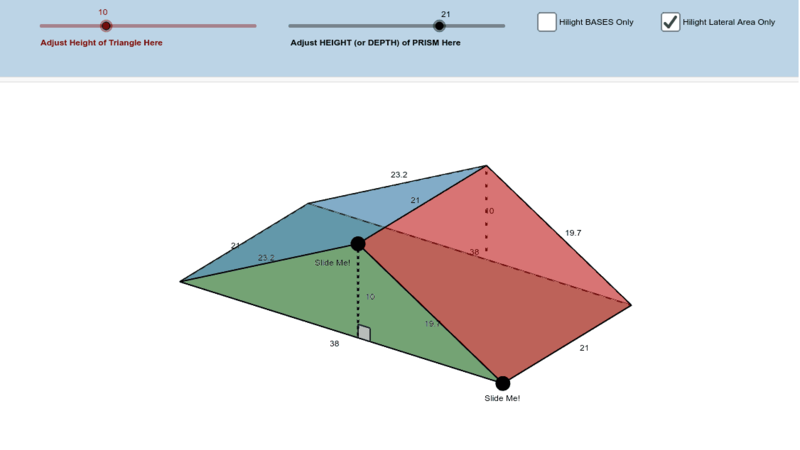 The following applet was designed to help you conceptually visualize a triangular prism as you work with it in order to help you calculate its lateral area, total surface area, and volume. Feel free to adjust the sliders up top and the locations of the "Slide Me!" points in the 3-D graphics perspective below!